Last year, the multinational professional service firm Deloitte conducted a survey that revealed that developing workplace culture and increasing employee engagement are the top priorities for Human Resource leaders. However, in spite of this employee engagement still continues to be a big problem. Recently, a Gallup study found out that only around 30% of employees say they are completely engaged in their workplace. 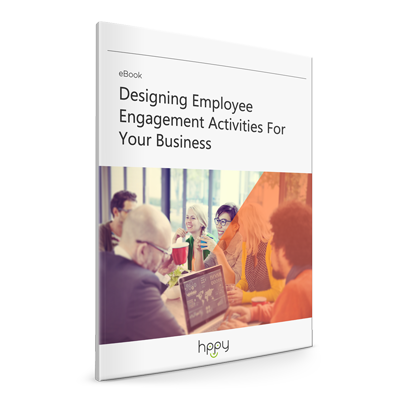 What is more, half of the employees do not feel engaged and the rest (around 20%) stated that they are actively disengaged. However, not all is lost. With recent technology advancements, organizations are finding new ways to improve engagement and create a productive atmosphere at the office. First, we have to get a few things clear. For starters, employee engagement is not all about a high salary, company car and high-class benefits. Engagement is a measure of how emotionally invested your workforce is in the company; an engaged worker does not only want another paycheck– he or she sincerely wants your company to succeed. “It is an emotional commitment the employee has to the organization and its goals”. People want to feel that they are a part of a team and that they are a valued member of the company, not just another brick in the wall. Today, most HR professionals have modern systems and apps to engage and motivate their workers at the tip of their fingers. It is a well-known fact that the number one reason why so many people in the US abandon their jobs is the lack of appreciation. The problem is that less than 15% of organizations provide HR managers with the necessary tools for employee recognition, according to a study by the Aberdeen Group. So, in order to recognize their top employees, HR departments need to start implementing recognition software, like Globoforce for example, in order to build a strong culture through the power of acknowledgment. This type of software will help you reinforce positive practices, acknowledge anniversaries, and even encourage healthy lifestyles. On the other hand, performance appraisal software like Engagedly collects peer praise, idea generation, and manager feedback in a cloud-based platform that delivers continuous feedback for your workers. Most employees are often disappointed in performance reviews due to a lack of feedback and/or goal setting. What is more, if you want to simplify the process of tracking attendance and time you no longer need any expensive, stand-alone hardware. Instead, you can acquire modern an online time attendance software, which allows you to supervise when your staff clocks in and out, by setting up specific clock locations. It is no surprise how gamification became so popular in recent years. This technology improves engagement by allowing your staff to have fun on their job, relief stress, and even expand their personal social networks while they work. The worldwide market is expected to grow to $2.8 billion by the end of the year, and gamification tools aimed at businesses are slowly but surely eclipsing those aimed at regular consumers. While most managers regard gamification as a mere gimmick, numerous studies have proven that various gamification techniques affect engagement in a positive way and even boost performance. The technology can also be useful when it comes to employee training, especially with millennials, because these apps encourage young people to pick up new skills and meet deadlines. According to the findings of a TalentLMS survey, nearly 80% of students and corporate learners believe that they would be far more productive if their work environment felt more like a game. Long-term success stems from a culture of leadership and continuous leadership development. So, when you are encouraging involvement in new technologies and programs, authentic leadership is crucial. And if you want to measure the progress of your workforce, surveys are another effective measurement tool because they give every one of your employees a voice and show them that their opinion truly matters. But do not expect overnight success – there is no magic app that which guarantees engagement so be prepared for bumps along the way if you want a completely engaged staff and a productive working environment.